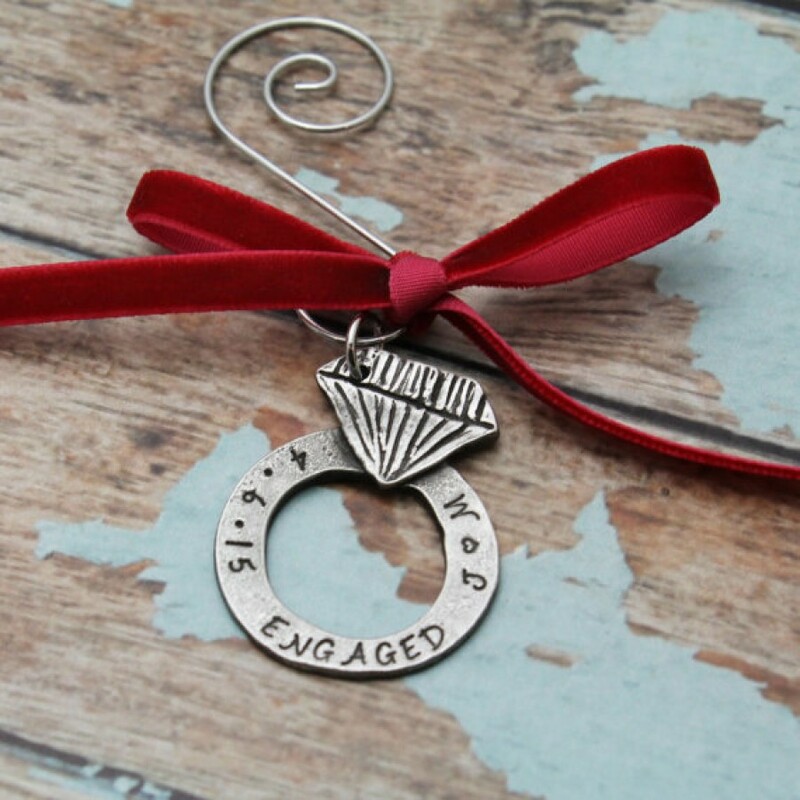 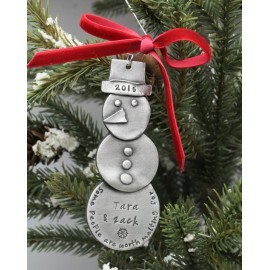 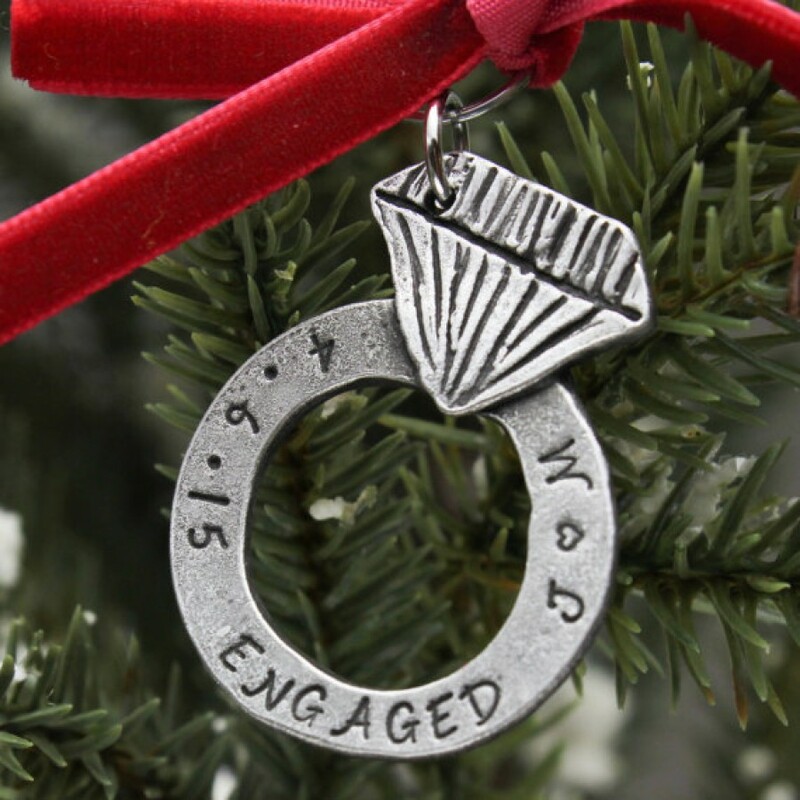 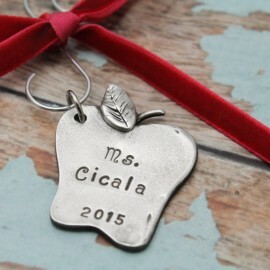 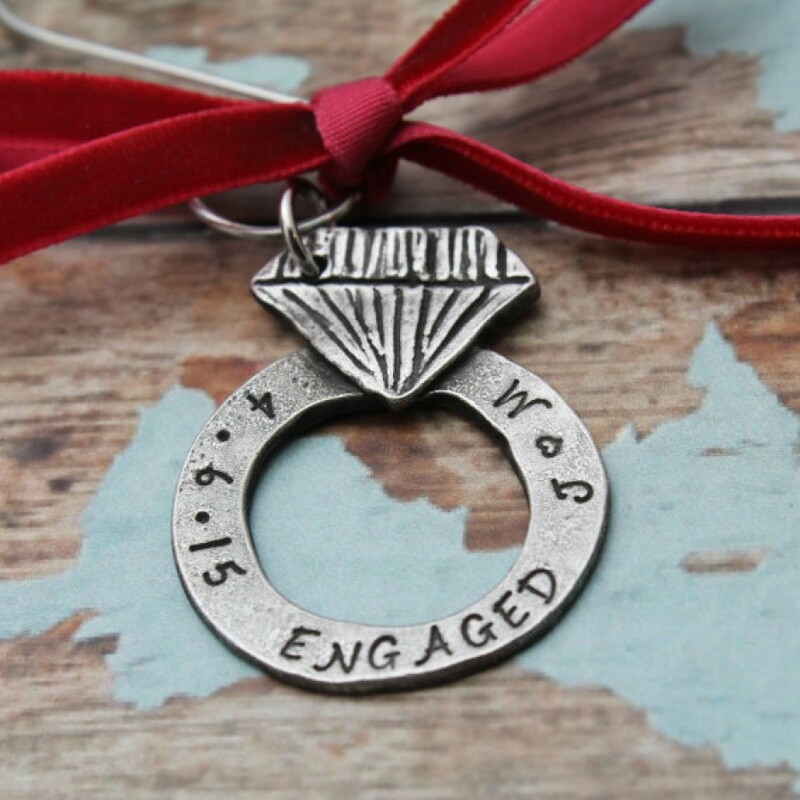 This lovely ornament makes the perfect gift for couple that is just engaged or married this year. 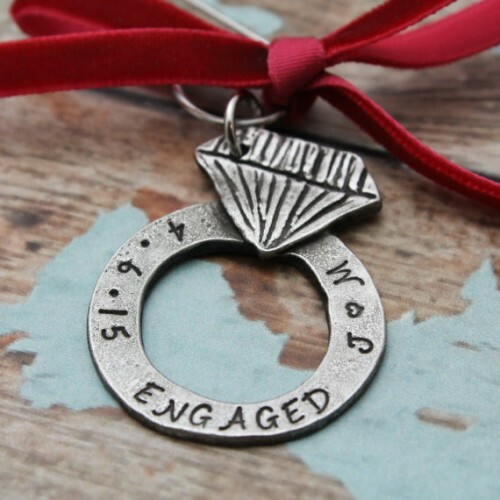 Hand stamped and personalized with a the couple initials, important date, and "Engaged", "Married" or other important occasion. 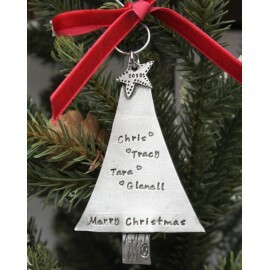 Comes with a silver scroll hanger all ready to hang on the tree, tied with a festive velvet red ribbon.